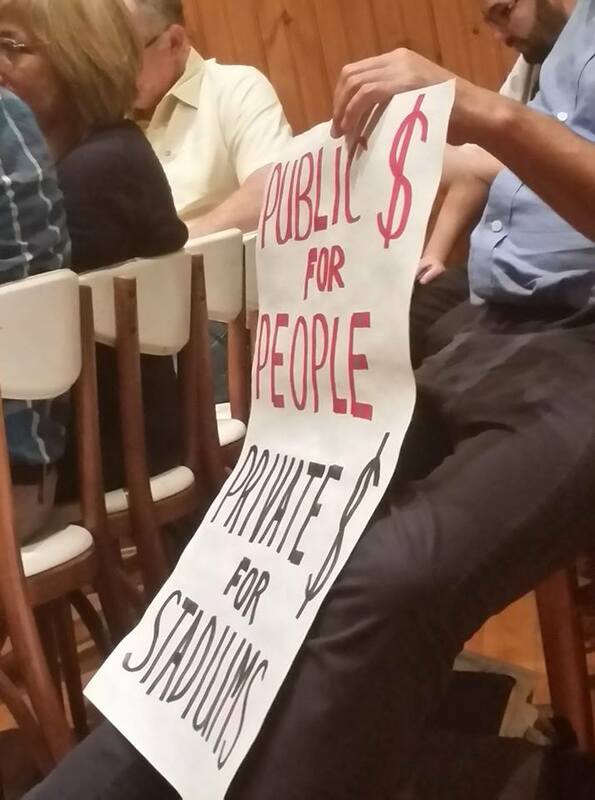 Crony corporatism in Rhode Island is alive and well – and wears a baseball uniform. 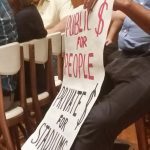 If Wednesday’s hearing before the Cumberland Town Council is any indication, choirs of cronies, chanting the same diversionary hymn to the charitable and educational contributions our benevolent baseball club brings to the children and families of Rhode Island, will no doubt be heard in town halls and university auditoriums all across our state. But all of that hyperbole and deflection is beside the point. 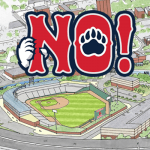 Resolution R-17-53 was NEVER about the good or bad, the emotion or the tragedy of the Pawtucket Red Sox as a ball club, or even the stadium plan itself. The resolution – in fact, the entire series of upcoming hearings – is exclusively about whether taxpayer dollars should be pledged to subsidize a private business entity – no matter what the plan is! It’s about taking a principled stand. Cumberland’s council let the opportunity pass in a most uncourageous vote to table the resolution “indefinitely” instead of taking a principled stand and hitting a proverbial home run heard ’round the world. A fundamental principle of Libertarianism is that free-market approaches are the most effective for improving people’s lives. However, instead of free market principles, our current economy is built more on crony corporatist deals. That is the source of the majority of problems that some try to blame on capitalism. While the free market provides equal opportunity (not equal outcome) for people of all backgrounds, interests, and abilities, crony corporatism benefits the wealthy, powerful, and special interests who know how to influence policy makers. This “deal” is a perfect example. 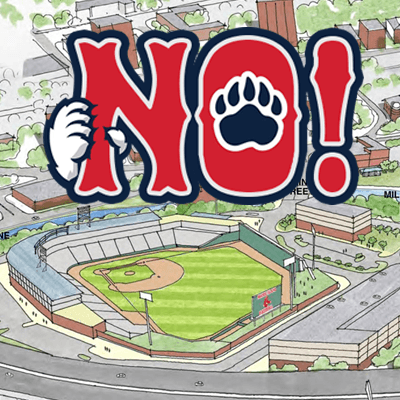 And in this case, the influence comes not only from the extortionary threat to leave the state, but also from tugging at the public’s heartstrings over the social good the PawSox may contribute. Extortion and emotional blackmail. Virtues of the ball club owners, indeed. Crony capitalism provides unfair advantage to some businesses while putting others at economic disadvantage because they pay the taxes that fund the tax breaks given to “corporate friends” of government. Please join us in our offensive against crony corporatism. Let’s show wayward elected officials how to take a principled stand. The end of crony corporatism has to start somewhere. Let the end start here. Sign up to attend one or more hearings. Volunteer to speak at a hearing. Contribute to help us spread the word – any amount is welcome.